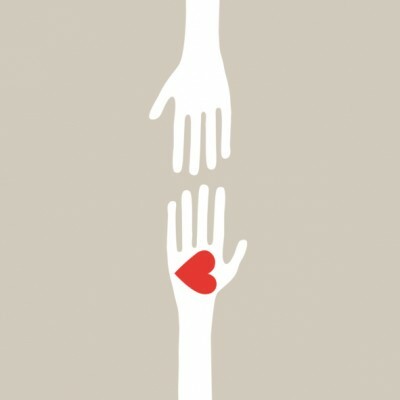 A generous person is highly charismatic. He has a “give-give-give” attitude and constantly adds value to the people he interacts with. The generous person believes the pie is infinitely large and is more than enough for everyone. He firmly believes that “you can get all you want in life if you first help others get what they want in life”. And it is this innate generosity that draws people to him. But how exactly does one practise generosity? Put in 110 per cent effort and focus on delivering your best work. Do not be calculative with your time and effort. Instead, give because you want to make a positive difference. Every day, ask yourself, “How can I make a positive impact at work today?” and then do it. You can be short-tempered when the pressure at work builds up, especially with your team members. Why not do the opposite for a change? Be extra nice. Offer to buy them lunch. Acknowledge their efforts and praise them in front of everyone. Make it a point to always make the people you interact with feel better after their meeting with you. Instead of finding fault with people, learn to validate them. It is easy to criticise. Instead, make a special effort to pay someone a compliment. And make sure you mean every word that you say. Find opportunities to share your knowledge with others. When your friend or colleague comes to you with a problem, even if you do not have the solution, offer to link up the person with someone who does. If you stumble upon a great book or video, share it with your friends. If you have just overcome an adversity, find opportunities to inspire the people around you with what you have learnt. Even a spoilt clock is right twice a day. So what makes you think that you have nothing to share with the world? Do social work. There are many people who could do with an extra hand. Sometimes, you can make a difference with money, but there are many instances where you can help by showing care and concern for those in need. Visit your town council and tell it that you would love to help an underprivileged group. Or, call your favourite charity or religious organisation and offer your time and expertise. This means doing something nice for anyone, and it could be anything under the sun. Give up your seat on the train to someone who needs it more than you. Greet the bus driver. Buy lunch for the old woman whom you see picking up cardboard boxes every day. Open the door for someone with a stroller. Offer to babysit for your neighbour. I know of a voice coach who spent hours with ENT (ear, nose, throat) specialists to understand how vocal chords work so that she could help her clients produce better sounding voices. I also know of a life planner who spent hours with oncologists to understand cancer treatments so that she could explain to customers the various clauses in an insurance contract. Find ways to delight your customers and you will be rewarded with their loyalty and more. Being generous is not difficult. It just takes a sincere heart and a willingness to make the world a better place. Here’s a suggestion: Go over the seven suggestions again and pick one to practise immediately. Then enjoy the reactions you get!